I cannot resist strawberries, they are very dear to me. I fall for anything with a hint of strawberries in it. And, I always have strawberries stored in my refrigerator. A bowl of strawberries when placed as a centrepiece enhances the whole dining table setting. Who can possibly resist strawberries dipped in chocolate??? There are a million ways of incorporating strawberries into cooking and baking. 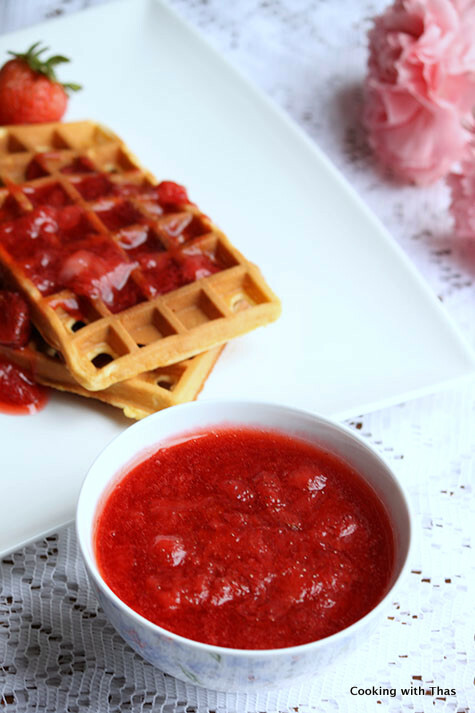 One of my favorite toppings for pancakes and waffles is strawberry sauce. I seldom use store bought syrups as it’s too sweet for me. Making homemade strawberry sauce is absolutely easy and it tastes much much better than the store bought ones. Sharing an easy homemade strawberry sauce recipe with you all. 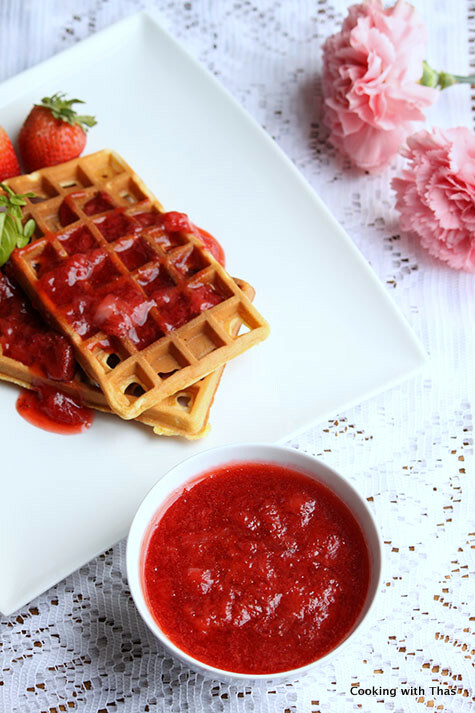 You can top your pancakes, waffles, ice creams, cakes and almost every dessert with this delicious strawberry sauce. 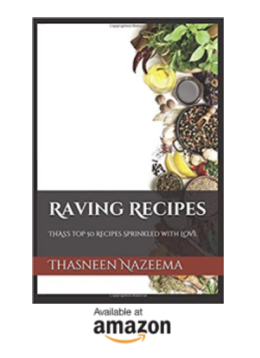 For more strawberry recipes, click here. In a saucepan, combine halved strawberries along with sugar and water. Place the saucepan over medium heat and cook covered for a few minutes till the liquid in the pan starts to boil. 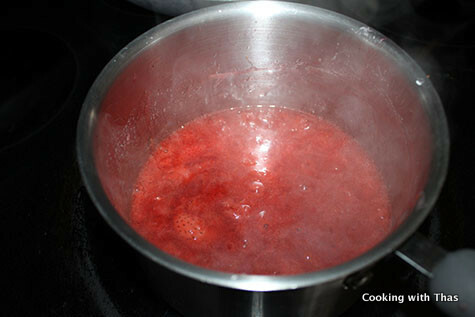 When the liquid starts to boil, open the lid, lower the heat and cook uncovered for about 10 minutes or till strawberries have cooked well and the liquid starts to thicken. In a bowl, combine 1 tbsp corn starch with 1½ tbsp cold water. Add the corn starch into the strawberry syrup and combine well, let cook for 5 more minutes until the sauce has thickened. Pour the strawberry sauce over your pancakes, waffles, ice creams, sponge cakes etc. If you want the sauce to be smooth, you could puree using a hand blender.